As it was promised, Lumion 3.2 was released before June. Among the new features, one must be noted at the beginning: now it is possible to load custom textures for Lumion Flags. 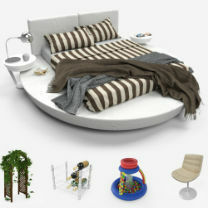 This in itself is a grea, new feature that was on the wish list of many users! Also, at the very beginning, some warning: "scenes and LS3 files saved in 3.2 are not backwards compatible with earlier versions. If you try to load 3.2 scenes or LS3 files in an earlier version of Lumion, models will be missing, i.e. replaced by red question marks" - so be careful with ongoing projects. 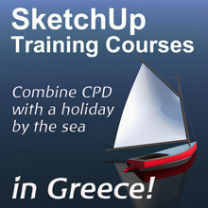 Andrew Walters (AWPelion) is offering SketchUp training courses from his studio in the South Pelion region of Greece. Andrew is a UK registered architect who's been using SketchUp for several years, In addition to using it for architectural design, he uses SketchUp to design boats, cars and for illustration purposes. He aims to keep the courses on a one-to-one basis, or for small groups, although, given sufficient notice, he can accommodate larger groups at a local hotel that has conference facilities. CGTextures reached a major milestone this week: there are now over 100,000 textures online! To celebrate the 100,000th texture all download quotas are doubled for the next 7 days (until the 5th of June). This means that a member with a free account can now download 30Mb a day! It's truly a lot of Mb's - although to be honest, I have never exceeded my daily quota with the lower downloads either. 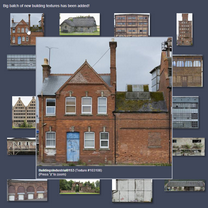 CGTextures is one of the largest collection of textures on the Internet. Many textures are tiling while others are not but the great selection makes it a perfect place to find almost anything you need. ThomThom updated his Vertex Tools and made a fully functional Trial version that anyone can test for 30 days. Note that if you get hooked and are a Premium Member at SketchUcation, you can get a 20% discount in the SketchUcation Shop. 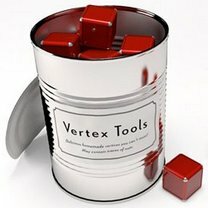 Vertex Tools is a powerful vertex editor for SketchUp. With it, you can easily manipulate meshes using soft-select methods a handy gizmo, different selection methods etc. 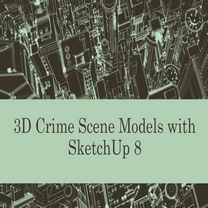 The International Association of Forensic and Security Metrology is continuing their series of Webinars on Tuesday, July 18, 2013 at 4:00 pm EST with the Webinar: "3D Crime Scene Models with SketchUp 8"
The webinar will be presented by Elissa St. Clair, Special Agent with the Naval Criminal Investigative Service (NCIS). Elissa is currently assigned to the NCIS Office of Forensic Support. Her duties include offering guidance on proper techniques for detection, documentation, collection, and transportation of evidence located at crime scenes. It seems it's "BIM everywhere" in SketchUp nowadays. A new tool seems to be developed by Ruby Sketch, too. 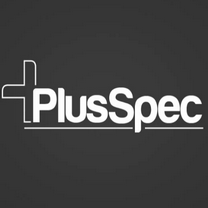 If you watch the video, it indeed looks promising for architects and building professionals. 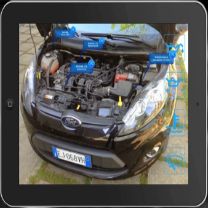 Bloom Unit has joined forces with Evermotion to make their stunningly real 3D model libraries available directly in Bloom Unit. Initially to be run as a trial, the Evermotion Libraries will make it even easier to create your photorealistic renderings in SketchUp. A selection of over 20 volumes (that's over 1,400 models) of the Evermotion Archmodels range are being converted during the following three months for use with Bloom Unit. Until 31st August 2013 we will be enabling all Bloom Unit customers to use this growing library free of charge! Animatex allows you to animate multiple textured faces in SketchUp by assigning them to any three layers which have their own x,y,z parameters to set speed. Also you can set a global 'FPS' and Animatex now works while transitioning between scene camera animation without lag. While the plugin is still in active development, we wanted to make sure those who are interested in new, exciting plugins but cannot regularly follow forum topics can get to know this excellent piece as well. Lumion (Act-3D) offers the opportunity to work in a team of capable, highly motivated and driven professionals by helping the further development of an innovative software tool, in an exciting period of company growth. 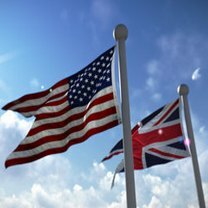 One of the key hallmarks of the company is the tremendous speed of development, whilst maintaining very high quality standards. They offer flexible working conditions, which can be adjusted according to your personal preference.